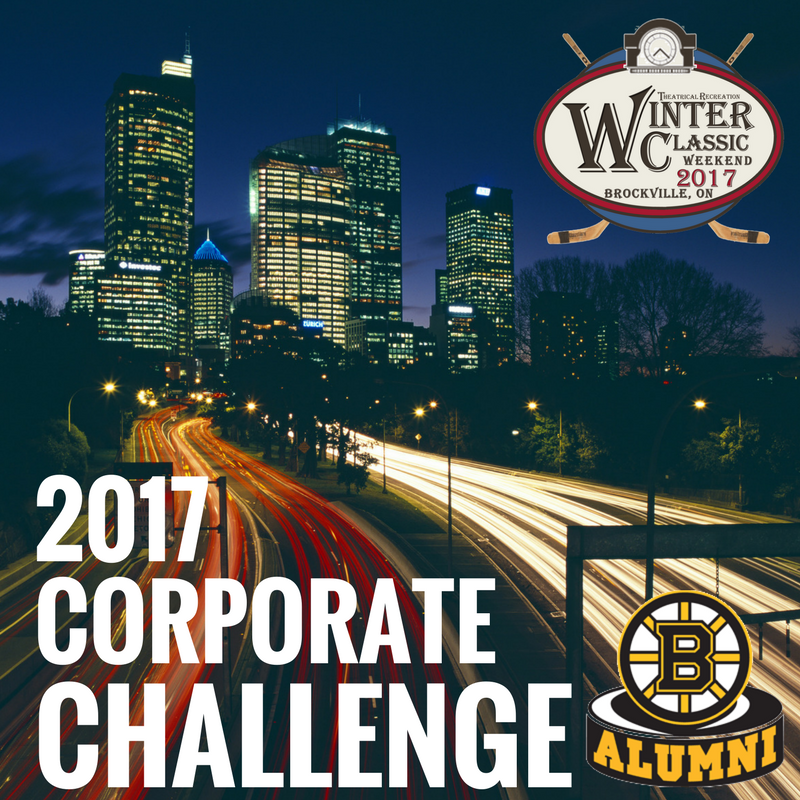 2017 Corporate Challenge is BACK! Because Puppies & pets Contest! ATTENTION ANIMAL & HOCKEY LOVERS! 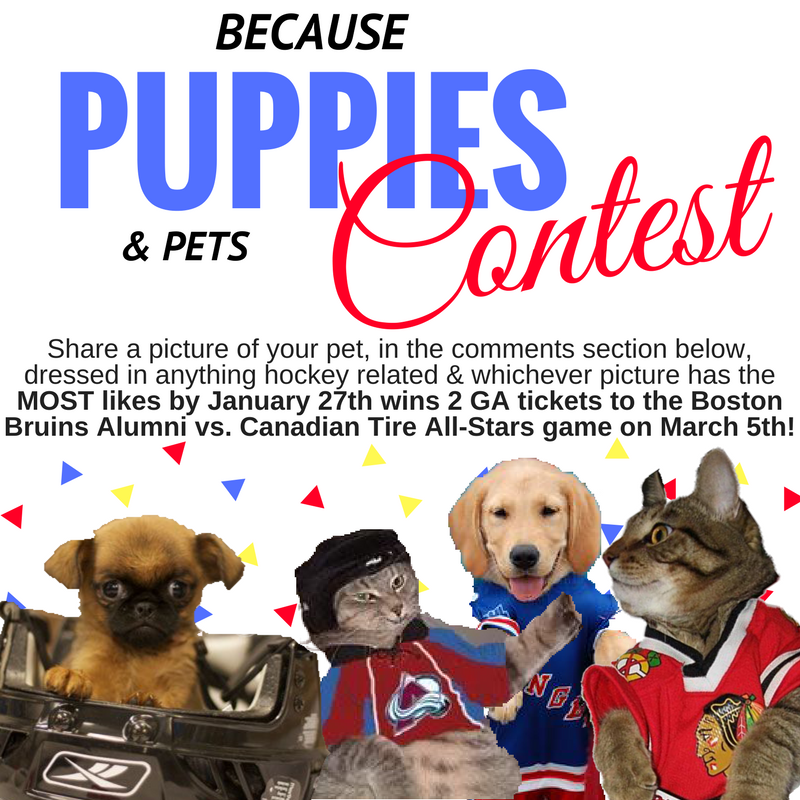 Share a picture of your pet, in the comments section on the official contest post on the Brockville Winter Classic Facebook page, dressed in anything hockey related & whichever picture has the MOST likes by January 27th wins 2 General Admission tickets to the Boston Bruins Alumni vs. Canadian Tire All-Stars game on March 5th!